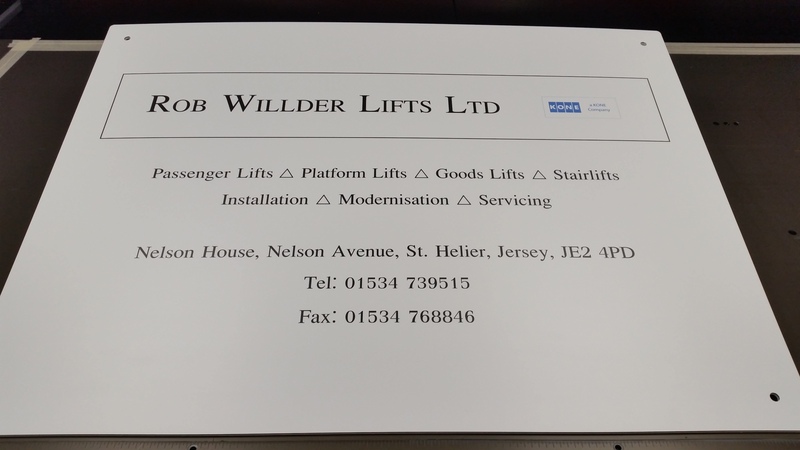 We have recently worked with a lift company in Jersey to supply them with a new external sign. Our Flat Bed UV printer cures the ink as it prints, curing the colour for external use. The whole process is done in house ensuring we have full control over every stage of the manufacture.